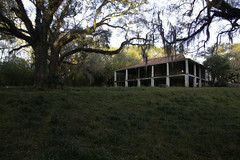 Home › Contest › Name This Place XIII Results: A New Mississippi Preservationist Extraordinaire! Friday was the last day of Name This Place XIII. At the start of the day, Suzassippi was leading the way with 16 points while Carunzel, Belinda2015/Belinda Stewart, and southside preservationist were within striking distance at 12, 11, and 10 points, repectively. There was also the subplot of whether I would finally stump everyone and collect four points. All that would come down to the final day. 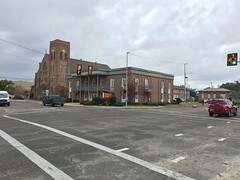 Friday’s first post was a tough one, with no MDAH HRI entry to help people out, but it was identified after a while by Carol Taff as the current Mississippi DHS Federal Credit Union on North President Street in Jackson, with Carunzel eventually able to suss out its original construction date and tenant: the Mississippi Trucking Association. southside preservationist and thomfred were able to get extra points as well. 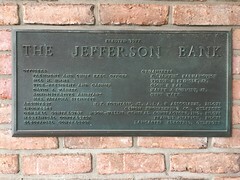 The second post of the day stumped everyone for about three hours, until Thomas Rosell, having lurked around for the rest of the competition, identified it as the Carson Consolidated School Gymnasium and Auditorium in Carson, Jefferson Davis County; Beauregard Rippy received a point for pointing out that the building was art deco, as did Suzassippi for information about its construction. The fourth place of the day and final one of the competition was easily named by Belinda2015/Belinda Stewart as the Old Neshoba County Jail in Philadelphia, the site of so much important Civil Rights history with final points going to Suzassippi and Donna Williamson. But, I stumped everyone on the day’s third building. Name This Place 13.5.3 was not named. Four points to me. Ignore the fact that I failed to stump everyone nineteen times in this competition (and nineteen in the last competition); I stumped everyone once (though I have a sneaking suspicion that Thomas Rosell was not exactly stumped). I am the greatest! Yes! That is enough tongue-in-cheek gloating. Name This Place 13.5.3 is the Mosley House (sometimes spelled Moseley) at 120 West Valley Street in Hernando. The far northern Delta, which is being swallowed up by the Memphis exurbs, is somewhat ignored and overlooked; the fact that no one identified this house speaks to that. 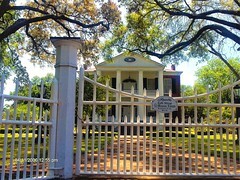 The Mosley House is antebellum, with a variable construction date depending on the source, but was home to Judge A. M. Mosley (or Moseley), who was a member of one of Hernando’s founding families. The Mosley House housed the Hernando Female Academy before the Civil War, which was an important early educational institution as the first institution of learning in the entire Chickasaw Cession (just slightly beating the Chalmers Institute, which was the first university, though the Mosley House itself is likely not as old as the Chalmers Institute). 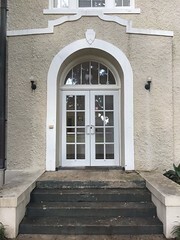 The house was one of only three Hernando houses surveyed by the WPA in the late 1930s (a far less well-known architectural survey than HABS), and is listed on the National Register of Historic Places as a contributing resource to the Hernando North Side Historic District. No one identified it, but Carunzel still received a point for identifying its Greek Revival style, while I ignored the bellyaching coming forth toward me from Carunzel’s direction. This means that there is a new Mississippi Preservationist Extraordinaire: Suzassippi. Congratulations on your victory in this, our lucky thirteenth Name This Place contest. A very respectable sixteen MissPres readers and myself earned at least one point in the competition. In the end, Suzassippi took the lead on Name This Place 13.1.1, jumped to a big lead by the end of day two, and fended off strong challenges by southside preservationist, Belinda2015/Belinda Stewart, and, runner-up for the second straight year, Carunzel. With her win, Suzassippi’s name again joins the pantheon of Mississippi Preservationist Extraordinaires with all the responsibilities and duties therein (I still do not know what those responsibilities and duties are right now, but we can make something up). 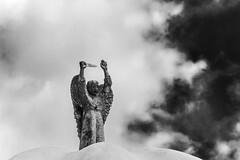 Curses and epithets to you, W. White!. I’d have been up until I found it if I hadn’t had to be up so early to take my daughter to work. This will not be forgotten! Right, and how long would it have taken you to wander up to Hernando? Though I stick by what I said earlier in that the house form is indicative of a general area in Mississippi and is not a general as you claim, I believe the house type and decoration are typical for North Mississippi: Holly Springs, Oxford, etc. Looking at it critically, based on looking at a lot of Mississippi buildings, it just does not seem like the type of house that would be along the Coast, in Natchez, or in Columbus. The Piney Woods lack many antebellum buildings, same with Meridian. That being said, I would certainly not have immediately thought “Hernando” when thinking of a place the house could be. That is why it was such a great stumper, and admit it, you would still be stumped by it right now. I did think it had a lot in common with the houses of Oxford and north Mississippi like Rowan Oak. I think I might have found it, given enough time. How to go about offering for your consideration a subject “Stumper” in the next Name This Place contest? You can email me your idea. However, it is highly unlikely that I will use your suggestion. My idea for the next iteration of Name This Place is very specific regarding its subject. Also, I prefer to discourage any suggestions, as I want every site used to be a surprise to everyone. I do not want people sending a list of sites that I would either use (and potentially give the people who suggested those sites an advantage) or be forced to ignore, further limiting the buildings available for me to choose from. I’d like to thank my preservation/historical experts who have mentored me along this journey: All ya’ll, but especially the great Malvaney, who introduced me to the fascinating world of Mississippi architecture, and to Thomas Rosell. Between the occasional posting for MissPres and the extensive work on the New Deal and the Green Book, I have seen a lot of Mississippi that I might never have learned about. Thank you W. White for putting together this interesting series. Congratulations Suzassippi and Carunzel! Your knowledge of Mississippi architecture is inspiring. I have been inspired by your work all over the state. I admit to ‘showing off’ when I am with someone and explain your work. Congratulations are due to you for the real work of preservation.